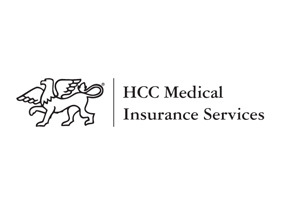 HCC Medical Insurance Services or previously known as MultiNational Underwriters is a US based insurance company established in 1998. A decade after its foundation the company was bough over by HCC Insurance and from there derives its new name. The company has very good financial ratings by major rating agencies and is stable in its financial footing. HCC Medical Insurance Services places great importance on making the life of its clients easier. They were the first of the health insurance providers to offer their plans and services online, eliminating the need for the client to track down or search for the company's representative elsewhere. HCC Medical Insurance Services offers highly flexible and comprehensive medical insurance policies allowing its clients to choose the coverage they perceive most useful and beneficial. HCC is always looking for ways to further improve their services taking into account the client's feedback. This allows the company to stay ahead of their competitors even in the most turbulent of times. If you would like to get more information about HCC please fill in the query form at the top of this page. Alternatively you may contact us in order to seek expert advise directly from our knowledgeable Russia Health Insurance consultants.